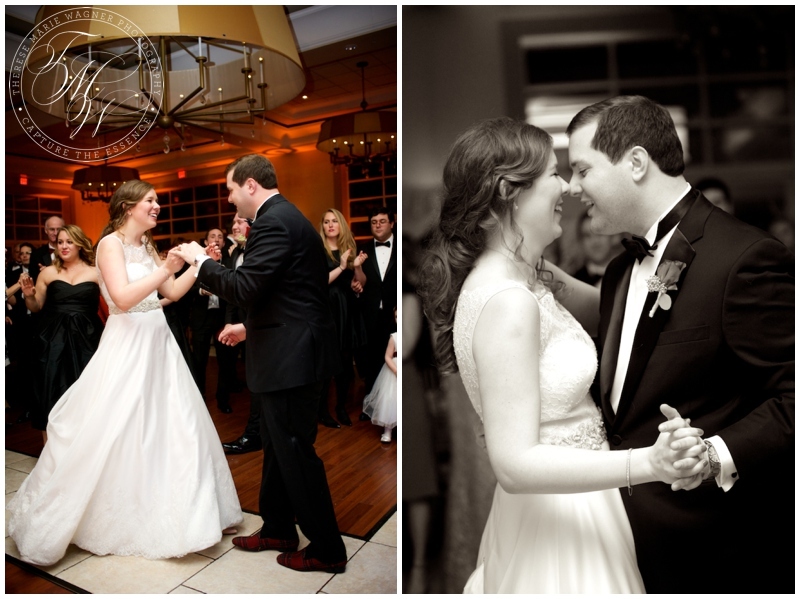 Ben and Katherine met in 2007 at Georgetown while she was a Sophomore and he was a Junior. They were living in apartments that shared a wall. They were friends for a few years while Ben was at school - Katherine specifically remembers enjoying his 90s themed dance parties, but they didn’t start dating until after Ben graduated. Ben went down to Georgetown frequently in the autumn of 2009 (he had graduated the prior Spring), and the couple became even closer. On December 10, 2009 Ben took Katherine to his fraternity’s winter formal. Rather than going to dinner with the rest of their friends, Ben asked if Katherine wanted to go out just the two of them. She did, and they talked for hours, ending up being quite late to the formal. Katherine said yes to a second date the following night. Over winter break that January, Ben drove out to NJ to take her on their third date. That night, he met her parents for the first time, along with her grandmother, Nannie. After Ben left, Nannie turned to Katherine's mother and proclaimed that Ben was the one, and someday he and Katherine would get married. Sadly, Nannie died just before the wedding, but she got to know and love Ben, and knew that her premonition was about to become a reality. Ben proposed on December 20, 2013, but the story starts earlier than that. Ben asked for Katherine's father’s permission to propose on Thanksgiving weekend. Since her other sisters had known when their husband’s were asking for permission, Katherine's dad figured that she did too. About five minutes after Ben asked him, her dad said “It’s about damn time” - among other nice “welcome to the family” things. Her dad later told her what had transpired. After the shock wore off, she started wedding planning immediately, and actually booked The Stone House at Stirling Ridge the very next day, before they were even engaged. So then, on December 20, 2013, exactly one year before their wedding - Katherine came home after work to find their apartment completely decked out with red roses, candles and white lights. It was a beautiful proposal that ended with Ben on bended knee. 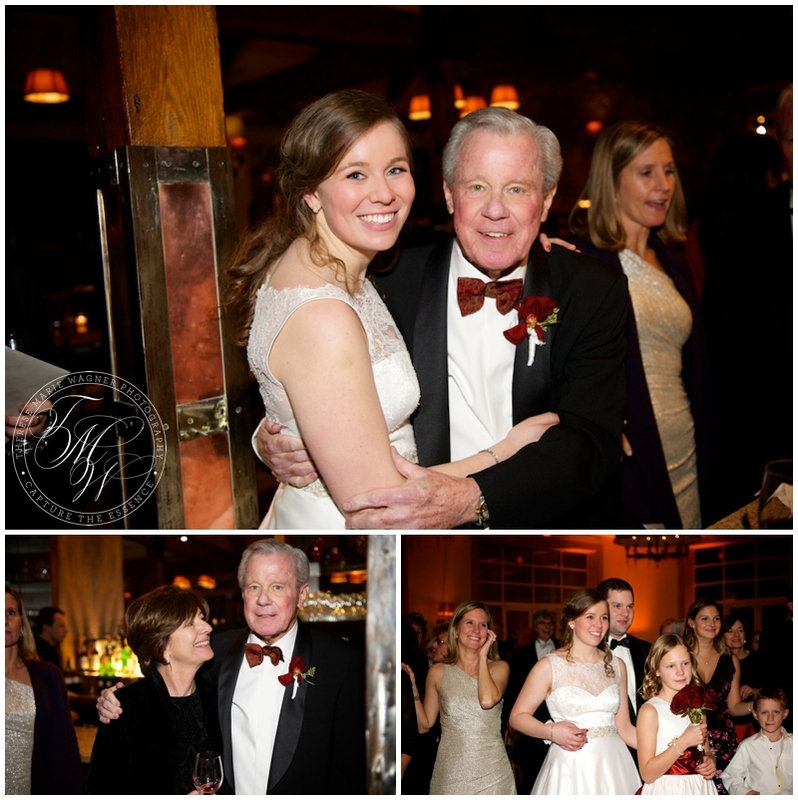 With the venue booked, Katherine went to work finding just the right individuals to work with to make her dream wedding come true. Carissa DeMarco from The Stone House worked as the couple's party planner, helping in any way possible. On the day of the wedding, Amy Jones Baskin of Beauty on Location came to Katherine's home and skillfully created the perfect bridal makeup. 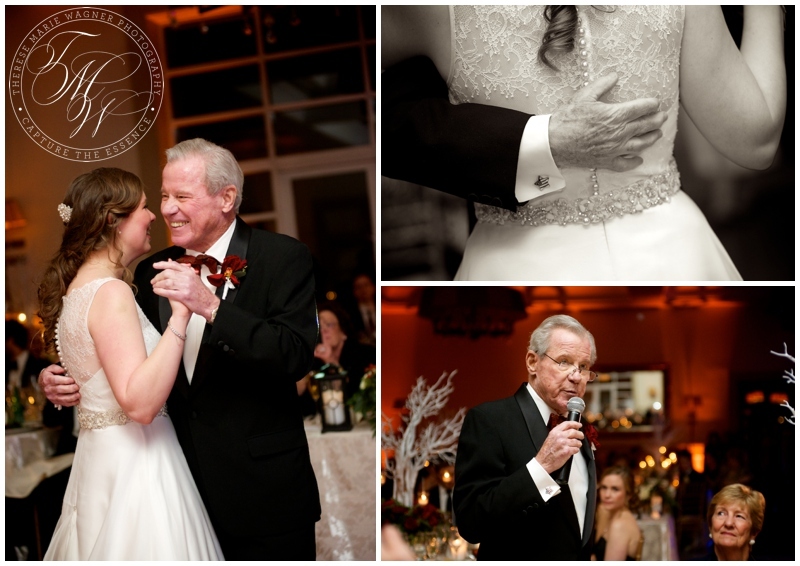 Katherine then moved upstairs and got into her elegant Augusta Jones gown from Kleinfeld. Her mother then helped her add the finishing touches - a pair of earrings that her father had given to her mother before they were given to Katherine on her thirteenth birthday (which just so happened to be the same pair of earrings that Katherine wore on her first date with Ben), a necklace that had been a gift from Ben, and a bracelet that had belonged to her father's mother, Katherine. The veil held a special place in everyone's heart as it had been purchased for Katherine by Nannie before she passed away. Despite the cold, Katherine's warm smile kept everyone in high spirits. 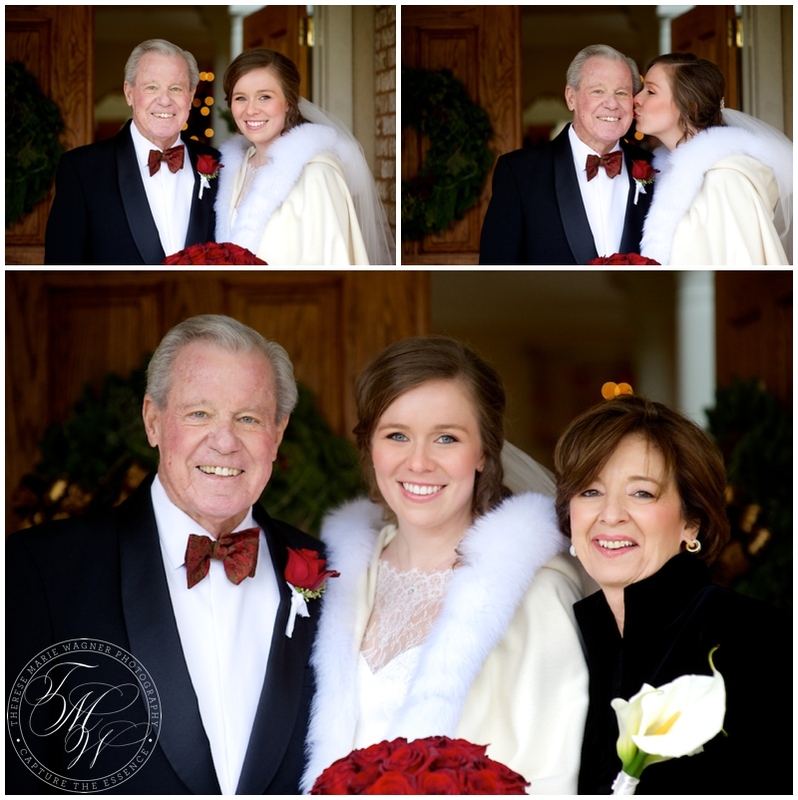 When it came time for portraits before heading to the church, the bride tossed on her gorgeous cape from Alexander Furs and went out onto her parents' front porch, followed by friends and family. Her stunning flowers, beautifully done by Jardiniere Fine Flowers, were red roses with her grandmother's rosary wrapped around them. For a simple touch of winter, her bride's maids carried ivory roses with pine cones and greenery, a simple touch that added timeless beauty. 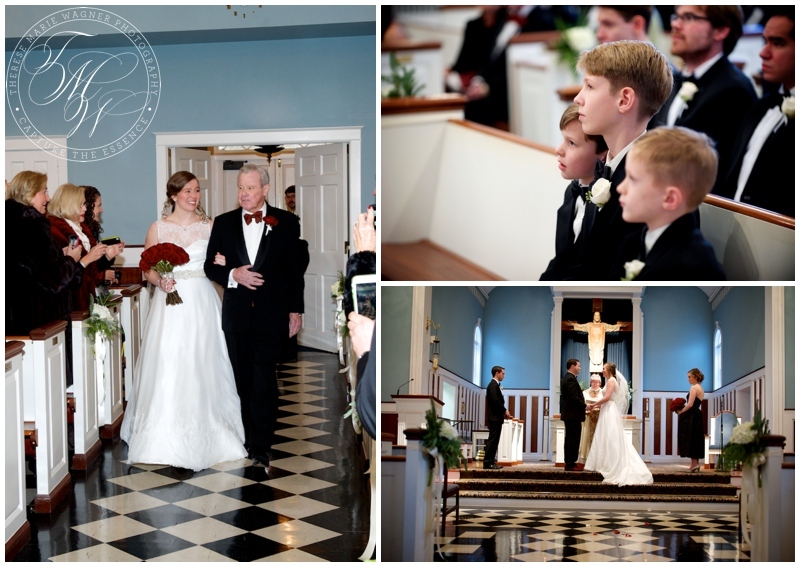 The ceremony was held at the Church of Christ the King in New Vernon, where Katherine and Ben proudly stood before all their family and friends and promised to love one another entirely and endlessly. Guests then moved on to the Stone House at Stirling Ridge, which Jardiniere Fine Flowers had outdone themselves decorating with trees, candles, and alternating white and red roses. The lighting design, set up by Craig Scott Entertainment, completed the room's transformation. The Craig Scott Orchestra did an excellent job getting everyone on their feet as the couple made their entrance, Mike Simons Video Productions capturing every amazing second. 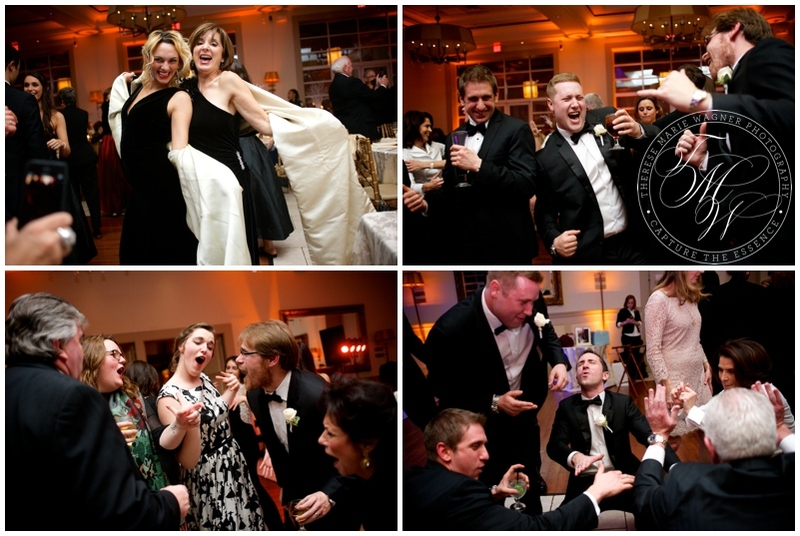 Dancing and laughter carried on late into the night, ending with the traditional tossing of the bouquet and cutting of the cake. 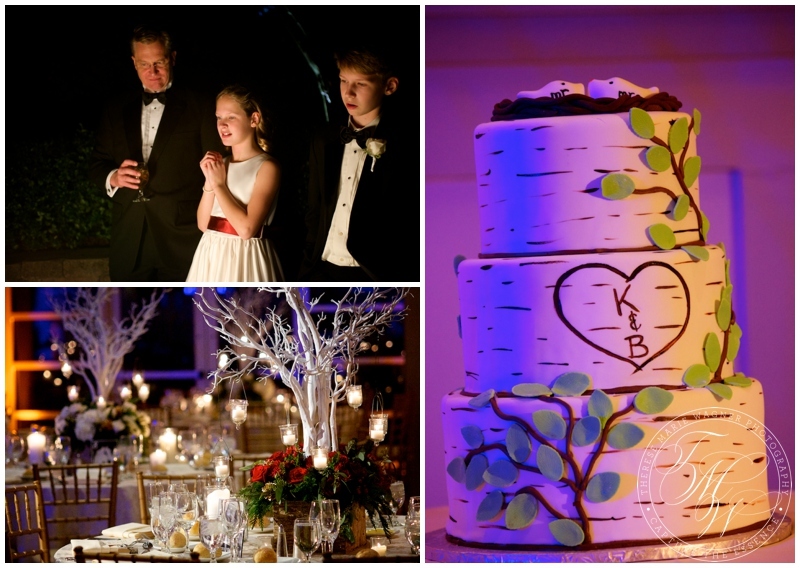 Special thanks to Geraldine Pritchard for helping us capture Katherine and Ben's special day!